When it comes to treesWe Go out on a Limb for you! Specializing in technical removals in difficult to access areas. Thorough clean up is our specialty! Are Overgrown Shrubs Ruining Your San Antonio Property? Decorative shrubs can be beautiful additions to commercial or residential landscapes, the only problem is they can be extremely difficult to remove when the time comes! If you?re looking to alter your landscaping, or are just sick of an overgrown shrub covering your walkway, our shrub removal experts are here to help! 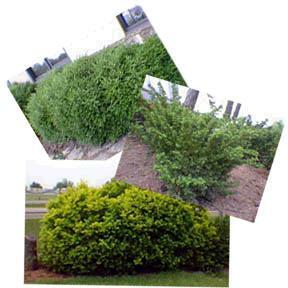 We offer some of the fastest shrub removal services in New Jersey, let alone Union County! No matter how deep you shrub?s roots go, or how badly intertwined they are with cement or debris, our experts have the tools and know-how to get them out quick. Not only do our experts work rapidly, we also work thoroughly and professionally. We never leave roots behind, so regrowth is never an issue! Nor will our professional grade tools ever cause unnecessary damage to your landscape! Our Union County tree experts aren?t just experts at removing shrubs, we also have years of experience at a wide range of other plant removal tasks! Our experts are some of the most trusted tree removal experts in the industry, regularly performing even dangerous emergency tree removals with precision skill. We can also clear your cluttered landscape of unsightly tree stumps by grinding them into nutrient rich mulch, or get rid of any kudzu infestations. We also extract even the stubbornest shrubs quickly and expertly! There?s no commercial or residential plant removal need our Local experts can?t fulfill, so why not give them a call today?